This year we focused on the tenth anniversary of the Global Financial Crisis. We explored lessons learnt from the downturn, from how to prepare for a correction to a case study charting the evolution in European fund management. We also explored themes that appear different this time around, from approaches to fixing the UK housing market to the evolution of proptech. Finally we looked ahead to debate the potential consequences of the next real estate downturn. Russell is a Director, and founder, of Intrinsic Value Real Estate Advisers. His main interests are investment, investment risk, pricing, decision making and governance. His former roles include Chief Investment Officer, Property at Aberdeen Asset Management, Global Real Estate Strategist at UBS and Director of Property Research at Henderson Global Investors. Russell holds a PhD and MPhil in Land Economy from the University of Cambridge and a BSc (Hons.) in Estate Management from Heriot-Watt University. He is a member of RICS, the RICS Global Investment Risk Forum, and the IPF. Philip is Head of Real Return Assets at LaSalle Investment Management with overall responsibility for approximately £2.5 billion of funds. He joined LaSalle in 2018; prior to joining LaSalle Philip was a Fund Director in the Real Estate team at Hermes Investment Management. Prior to that, Philip was Head of European Retail Funds - Real Estate at Aviva Investors.. The majority of his experience is in the UK direct real estate market, across all sectors, but he has also had responsibility for listed assets, and assets across Continental Europe. 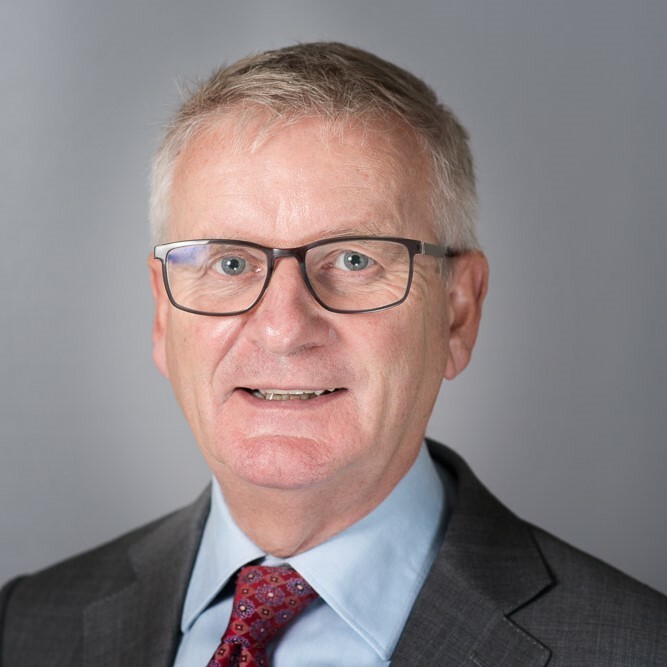 Philip is currently a member of the MSCI UK Client Group, the RICS Commercial Property Forum and is the current Chair of the Investment Property Forum. Emma Huepfl is a Co-Founder and Board Director of the Laxfield Group, a real estate debt platform which lends, advises, manages loans and produces debt market data. Laxfield is the managing member of Laxfield LLP a £750m debt fund which focuses on core plus, value add and transitionary asset funding. She started her first business in 1997 after careers at Savills Plc and GE Capital, and has since helped ten different debt investors to set up lending platforms or invest into the UK commercial mortgage market, creating a track record of more than £10bn of lending and no losses. 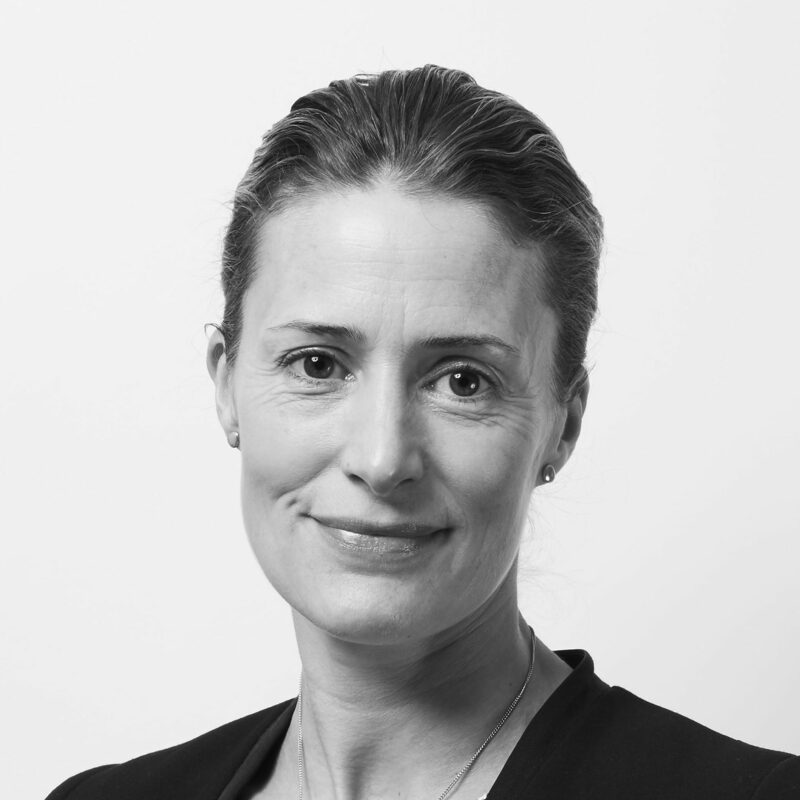 Emma is also Director and Board Member of the Commercial Real Estate Finance Council of Europe, and Chair Elect for 2019/20. Colin is Chairman of Pradera and Chairman of its Investment Committee. Pradera is an asset and fund management company specialising in the retail property sector. Pradera’s portfolio comprises 43 shopping centres and retail parks in Europe and five shopping centres in China managed by Pradera Retail Asia, Pradera’s joint venture with Macquarie Infrastructure & Real Assets. In total, these properties have a combined value of around £2.7 billion (£1.7 billion in Europe and £1.0 billion in Asia), a GLA of one million sqm and comprise 2,700 stores. Before co-founding Pradera in January 2000, Colin was a director and shareholder in a boutique real estate investment management company where he was responsible for the European investment activities of the US real estate opportunity fund, DLJ Real Estate Capital Partners. Chris Harvey is a partner in Mayer Brown's London office and Head of UK Real Estate.Chris has extensive experience acting for investors, funds, property companies, banks and developers in all kinds of investment, development and finance transactions. In particular, Chris has extensive experience of acting for Asian, US and European investors investing into the UK real estate market.Recommended and ranked as a key individual by leading legal directories, Chris has also been named by The Times Online as one of the top ten future stars of the City and in Property Week’s ’40 under 40’ 2015 and 2016 list of rising stars in the real estate sector. Ludovic is the author of the bestseller 'Private Equity Laid Bare', and Professor of Financial Economics at Saïd Business School, University of Oxford. He specialises in private market investments with a focus on fee tracking, interest alignment, and return benchmarking. Named as one of the 20 most influential individuals in private equity in Europe in 2016, Ludovic has strong links with the industry, routinely speaks at conferences, and appears in the media internationally. Ludovic achieved a degree in Economics from Toulouse School of Economics; a Master in Economics and a Master in Mathematical Finance both from the University of Southern California; and a PhD in Finance from INSEAD. Subject: Case study looking at the effects of the GFC on the European investment sector, through the history of Halverton and its subsequent offshoots. Halverton REIM LLP was founded by Richard Croft in 2005 as a European real estate fund management business with an emphasis on the higher yielding industrial sector. Halverton was subsequently acquired by The GPT Group (an Australian listed property trust) in July 2007 at the peak of the last cycle. At the time its assets under management (AUM) amounted to c. €2bn. Subsequent to the onset of the GFC, GPT made the decision to exit their European platform. Richard Croft left with senior managers from Halverton to form M7 Real Estate in April 2009. In December 2009, Jos Short’s firm Internos Real Investors won a highly competitive process to acquire the Halverton platform from GPT for a nominal sum of €2. In the years since the GFC, M7 Real Estate has focused on the multi-let industrial sector (later expanding to office and retail assets), building up their AUM to c. €8bn with backers including Blackstone and Starwood Capital. In parallel Internos Real Investors grew their acquired platform across the office, retail, hotel, logistics and residential sectors in a series of funds and separate accounts. With AUM approaching €3bn, Internos was subsequently acquired by Principal Global Investors in April 2018 to provide them with a European real estate investment platform, renamed Principal Real Estate Europe. Andrew Baum leads the Future of Real Estate Initiative at the University of Oxford’s Said Business School. He is chairman of Property Funds Research, an investment advisory firm, chairman of Newcore Capital Management, a real estate fund manager focussed on alternatives, and advisor to several property organisations. Andrew recently released a ground-breaking report detailing the dramatic changes facing the real estate industry. Proptech 3.0; Andrew was also voted one of the top 3 most influential people in Proptech in the 2017 Lendinvest list. He is a Visiting Professor at the Kenan-Flagler Business School, University of North Carolina, USA, and was appointed Visiting Professor of Management Practice at the University of Oxford in 2013.He holds BSc, MPhil and PhD degrees from the University of Reading in the UK. 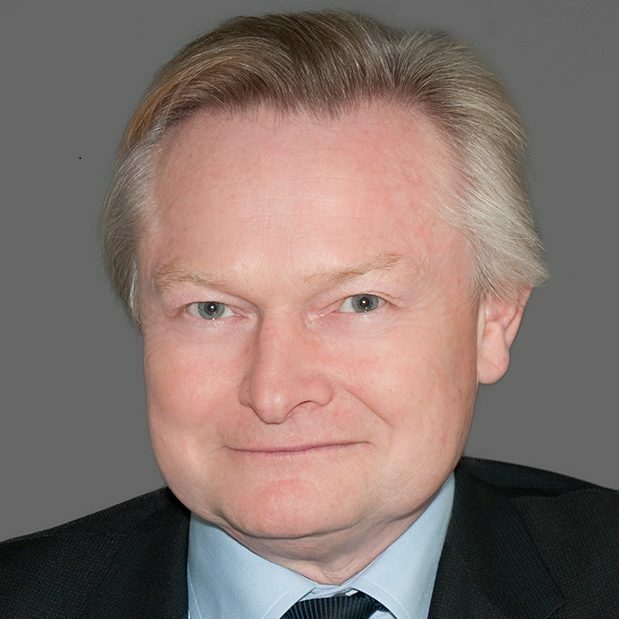 Richard Croft is Chief Executive of M7 Real Estate, a specialist in the pan-European, regional, multi-let real estate market, managing over 1,400 retail, office and industrial properties with a value of circa €8.1bn. Prior to co-founding M7 Real Estate in April 2009, Richard founded Halverton REIM LLP (subsequently GPT Halverton), a European real estate fund management business which was sold to The GPT Group (an Australian listed property trust) in July 2007. 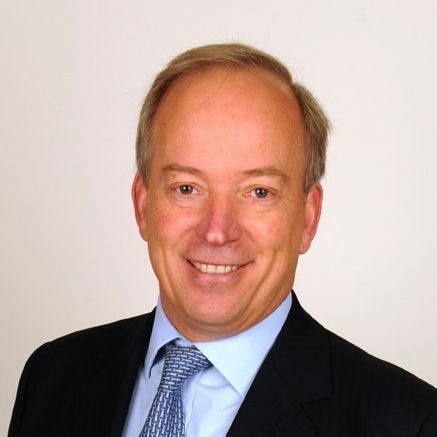 From 2005 to early 2009 Richard was CEO of GPT Halverton which at the time of sale employed circa 180 people across ten European offices and managed €2bn of assets. Before Halverton, Richard was International Investment Director of Property Fund Management PLC (now Valad), and responsible for setting up their international infrastructure, including offices in Amsterdam, Paris, Berlin, Warsaw, Copenhagen and Madrid. In addition to his duties at M7, Richard is a Non-Executive Director of IPSX (the International Property Securities Exchange). Jos Short, together with Andrew Thornton, founded INTERNOS Global Investors (now Principal Real Estate Europe) in 2008. In 2009, they jointly led the acquisition from GPT, and subsequent integration into INTERNOS, of the Halverton real estate investment management business. In 2013, they jointly led the acquisition and subsequent integration of Commerz Real Specialfonds from Commerzbank. From 2000 to 2007, Jos was CEO of Pramerica’s real estate private equity business and was involved in many noteworthy real estate transactions across Europe including pioneering investments in counter-cyclical assets such as self storage and senior housing. From 1998 to 2000 Jos was with Lazard Bros, initially as head of the 18 person property division running three funds and later running their M&A unit in European real estate. Jos has a degree in Banking and Finance from Loughborough University of Technology and is a member of The Chartered Institute of Bankers. Max Sinclair is an executive vice president and head of Commercial Real Estate, UK division. He has been with Wells Fargo since August 2013 having previously been with Eurohypo for 20 years. Max has been involved in real estate finance for 30 years and is a founder member of the Association of Property Lenders. He was also a Steering Committee contributor to the “Vision for Real Estate Finance” research document published in 2014. Max has sat on the management board of the Investment Property Forum since June 2010 and became chairman of the forum in July 2014. Max has recently been a guest lecturer on the CASS Business School Real Estate Finance course. For a number of years, he was a regular contributor to the Property Week magazine and continues to be an occasional contributor to the press. Lawrence is a senior analyst in the Savills Residential Research team. He provides market intelligence and advice to clients and represents Savills Research in print and broadcast media. He has recently written publications on residential investment, purpose-built student housing, and retirement housing, and contributes to Savills house price and rental value forecasts. 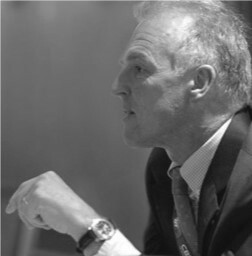 Rob is Chief Executive of the Berkeley Group, one of Britain’s most successful, sustainable developers. He joined the company in 1994 having qualified as a chartered accountant with Ernst & Young. He was appointed to the Main Board in 2001 and became Chief Executive in 2009. Under his management, Berkeley has sustained customer satisfaction scores which match the most respected brands in the country and became the UK’s first carbon positive homebuilder in 2018. The company has recently launched a ground-breaking approach to delivering a net gain in biodiversity on every new site. Over the last five years Berkeley Group has built 19,500 homes of all types and tenures. Rob is passionate about Berkeley’s corporate citizenship, and in 2011 the company launched the Berkeley Foundation, a registered charity that has grown to support thousands of disadvantaged young people each year. Rob regularly contributes to public debates on housing policy and construction skills, and is a member of the Bank of England’s Residential Property Forum. Dhananjai (“DJ”) is Fund Manager of the CBRE Affordable Housing Fund and is responsible for portfolio management and investments in the residential sector. DJ joined CBRE Global Investment Partners in 2007 overseeing global client portfolios worth c. £1.5bn and developing tailored client strategies. Prior to joining CBRE Global Investors, DJ served with English Partnerships as Senior Investment Manager developing national housing and urban development programs such as the First Time Buyers Initiative (national shared-ownership portfolio), Surplus Public Sector Land initiative (to increase housing delivery), Community Land Trusts and acquisition of and funding mixed use development schemes. DJ started his career as an Architect designing and overseeing construction of low cost housing and institutional buildings at the studios of Balkrishna Doshi (Sangath) in India. DJ is a Member of RICS, Investment Property Forum and is approved by the FCA. Merilee is an expert and leader in the short-term accommodation industry. She founded UnderTheDoormat in July 2014 after a decade-long career at oil and gas giant Shell where she led the Global Maintenance Operations of its 12,000 petrol stations across 42 countries. She has taken her passion and global experience in property management to an emerging industry and is professionalising and setting new standards both in her company and for the sector as a whole. She chairs the UK industry body, the Short-term Accommodation Association which counts among its members Expedia, Airbnb, HomeAway and onefinestay. Her vision for UnderTheDoormat is to enable modern travellers to step into the shoes of a local, enjoying the comfort of a home and the professional service of a hotel across major cities globally. Merilee doesn’t really do downtime, but in her spare time she is a keen triathlete and skier and loves to travel, having visited over 75 countries. She is also a mentor to future entrepreneurs through the European Commission Young Entrepreneurs programme. Alexandra Notay is Build to Rent fund director at PfP Capital, the fund and asset management arm of Places for People, tasked with raising a £550M fund to deliver 3,000 BTR homes across the UK. She is also an internationally recognised expert on build to rent, placemaking and sustainable urban development, with 15 years’ strategic advisory experience to public and private sector clients across four continents. In January 2019 Alex was selected as one of the 48 women shaping the future of UK real estate at the prestigious BISNOW Women Leaders event. Alex is a published author and editor of over 30 books and reports on real estate including the renowned ULI UK Best Practice Guide on Build to Rent (2014, 2016). Alex is a vice-chair of ULI UK Residential Council and on the ULI UK Executive Committee, serves on the BPF Build to Rent Committee and is an Associate Member of CREFC Europe. BREAKOUT PANEL 2: Will the evolution of proptech change things this time? Jack leads Nuveen Real Estate’s initiative to embrace technological innovation, change and disruption within its tomorrow’s world philosophy. His focus includes analysis and solutions for how technology is changing what end-users want from real estate, proactive engagement with PropTech start-ups and disruptors, and efforts seeking to leverage emerging technologies such as Big Data and AI. Prior to his current role, Jack worked in the business’ R&D team, which he joined in 2016. Jack graduated with a B.A., honors, in Land Economy from the University of Cambridge and is a member of the Cambridge University Land Society. 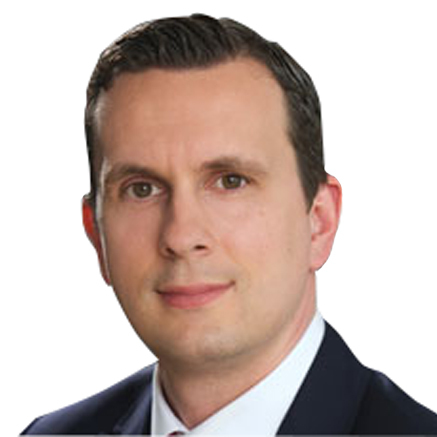 Tobias Huzarski has over a decade of experience in real estate private equity, having been involved in over €1 billion of property transactions across Europe. His track record covers office, residential, hospitality, retail and alternative real estate asset classes as well as corporate transactions. Tobias is a Co-Founder and Managing Partner of Loric Ventures, a leading PropTech venture capital fund, investing in companies looking to innovate and disrupt the real estate industry. Prior to Loric, Tobias worked in the European real estate investment team for investment managers including Man Group and KKR. Tobias graduated in Philosophy, Politics and Economics (PPE) from Oxford University. Dr Fabian Braesemann is Data Scientist at the Saïd Business School, working in the Future of Real Estate Initiative, and a Research Associate at the Oxford Internet Institute, University of Oxford. His research focuses on the digital transformation of markets, the future of work, and on mining large-scale online data to understand information dynamics in a digitally connected world. Additionally, Fabian has more than three years of experience in data science consulting for companies and international organisations. He holds a PhD in Economics from Vienna University of Economics and Business (2016). Matthew is a Co-Founder of Didobi. Didobi delivers strategic consultancy to CRE investors, retailers and local authorities on understanding and creating impact from data. Matthew is a data expert in collation, aggregation, interpretation or technical delivery platforms for data. He has worked with large housebuilders, investors, retailers, landlords and local authorities in delivering critical strategic support on strategy, implementation and leadership. He is a regular contributor to national and trade media outlets including the BBC, FT, The Guardian, The Times and Daily Telegraph. In 2013, he was a co-author of The Grimsey Review – An Alternative Future For The High Street and in 2018, The Grimsey Review 2. He also recently developed the Creating Better Towns Masterclass for the Local Government Association. Matthew is a Visiting Industrial Professor at University College London and sits on the Research Advisory Board of Nottingham Business School. Adri Kerciku is an Investment Director at M3 Capital Partners where he works across M3’s principal investment and advisory businesses, most recently focusing on capital raising for Global Logistics Properties. 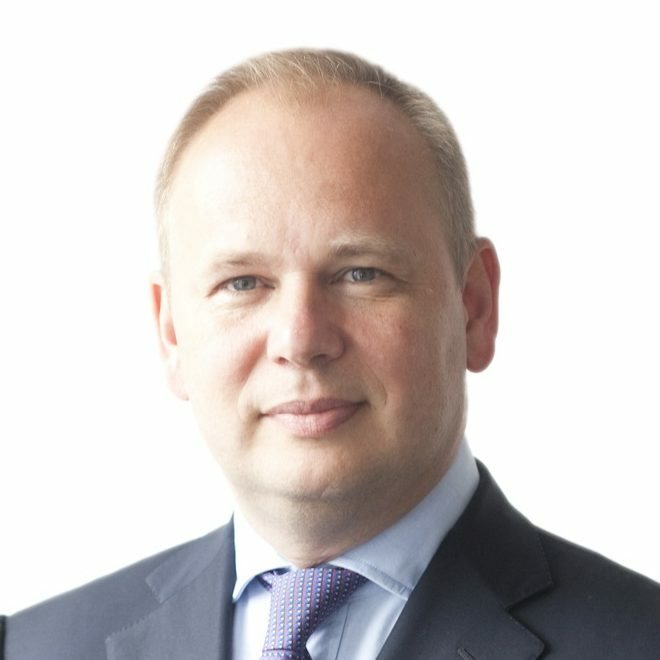 Before joining M3, Adri was a Director of Hines where he was responsible for investment and development activities across the Hines’ Europe/MENA platform, and prior to this, he worked at the William Pears Group where he was responsible for European and US real estate and private equity acquisitions. He has extensive experience across real estate asset classes, geographies and risk-spectrum, and an investment, development and capital raising track record of over $3bn. Adri read Engineering Science at the University of Oxford, and started his career as a Structural Engineer at Ove Arup & Partners before returning to Oxford to obtain an MBA from the Saïd Business School. 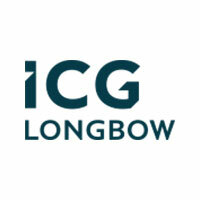 Martin is a co-founder of ICG-Longbow and a Member of ICG-Longbow's Management Committee, Investment Committees and Asset Management Committee. Martin started his career with Legal & General Investment Management where he worked in a number of different investment or asset management roles, gaining experience across the main commercial property sectors throughout the UK. In 1998, Martin, with Kevin Cooper, was a Founder Member of the Structured Property Finance business for Halifax. In 2002, Martin joined GMAC, with Kevin Cooper, and was appointed Executive Director to lead the market entry and growth of its UK Real Estate Finance business. Martin is a member of the Royal Institution of Chartered Surveyors and holds an Honours Degree in Property Valuation and Finance from City University. Based in London, Sabina is Co-Head of the Global Strategy and Research Team and Global Chief Economist. In the first role she has specific responsibility for the European regional research team and the Global Quantitative research team. In the second role Sabina is responsible for selecting the economic scenarios and macro risk assessments that power the real estate forecasts. Sabina joined the industry in 2001 and started working for CBRE Global Investors in 2008 from IPD where she was Chief Economist. Prior to this she worked for Capital Economics, where she developed their UK residential and commercial property market analysis and forecasting service. Sabina studied economics at Lincoln College, Oxford University and is a member of the Society of Business Economists, the Society of Property Researchers and the Investment Property Forum. She is an External Examiner at the University of Reading for the Real Estate Investment Finance programme and a Fellow of the Royal Institute of Chartered Surveyors. Seb d'Avanzo joined KKR in 2016 as a Director in the European real estate team and is head of acquisitions. Prior to joining KKR, Mr. d'Avanzo was a principal at H.I.G. Capital working in the European real estate team and focusing on transactions in the U.K. and the Nordics. Before that, he was head of acquisitions for Solstra Capital based in London. From 2005 until 2011, Mr. d'Avanzo was at MGPA, the global opportunistic real estate investment firm, focusing primarily on Southern Europe and latterly the Nordics. He began his career in investment banking at NM Rothschild & Sons. He holds a MA from Oxford University and an MBA from NYU Stern. Savvas has been involved in commercial finance since 1991 working for a range of investment banks. He is now a Partner and Chief Economist at Toscafund. He has taught extensively, in London at the LSE and the University of Woolwich, as well as at Oxford and Moscow Universities, covering statistics, mathematics, and economics. He has authored various academic papers published in peer-reviewed journals. Savvas holds doctoral, masters and bachelor degrees in Econometrics and Mathematical Economics from the London School of Economics. For directions to Worcester College, please see below.